Just before I got back on the air on 2011 I heard the term SDR. Not knowing what this was about I read up articles and adverts and learnt a bit about what it was about. Since back in 1990 I had intergrated an IBM PS2 PC with my PK232 and my Kenwood TS850s, I thought SDR was the way I wanted to go. So after a few months of using the TS850s I bought a Flex 3000 SDR. 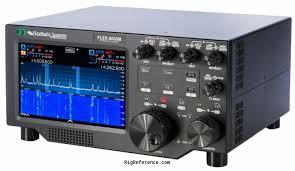 That is a very good transceiver and had very good fun to use. I then started seeing the next generation of SDRs come out. This is a view from the top of my antenna mast. I have recently upgraded my Anan 8000DLE to the new Flex 6600M, I have been using the Hercules DJ Control E2 more and more with the Anan so I thought I would get an SDR with knobs again. As much as I liked the Anan I was finding the number of individual settings to do beginning to get very cumbersome. I still think it is probably one of the best radios out there, but for me I wanted something more straight forward to use. Also the GUI was getting to be a bit tired so I had a play with G0RVM’s Flex6600 and liked the GUI. Plus to my surprise keying on CW is silent which is great! Back in 1987-1994 when I was first licensed owning an amplifier was rare. Now every man and his dog has one. I thought of going the Valve route but it needs tuning on every band and since a lot of may operating is remote retuning would be an issue. So after reading reviews I went for the Elecraft KPA500 kit and built the amp from the kit. Im very glad I built it as it was a very rewarding process. I have 3 antennas that I can use andtwo of them require tuning, so the Elecraft KAT500 fitted the bill nicely with 3 tx antenna ports and built in switcher. 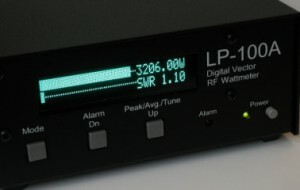 Measuring your tx power and SWR is critical. I have used Cross needle meters before but again, due to the station being used remotely, I needed a way to get the power and SWR readings. I saw this unit reveiew in QST and though it was just what I needed. I got the unit with a single power sampling probe but have updated it to two now. This is a key peice of software I use in the station. 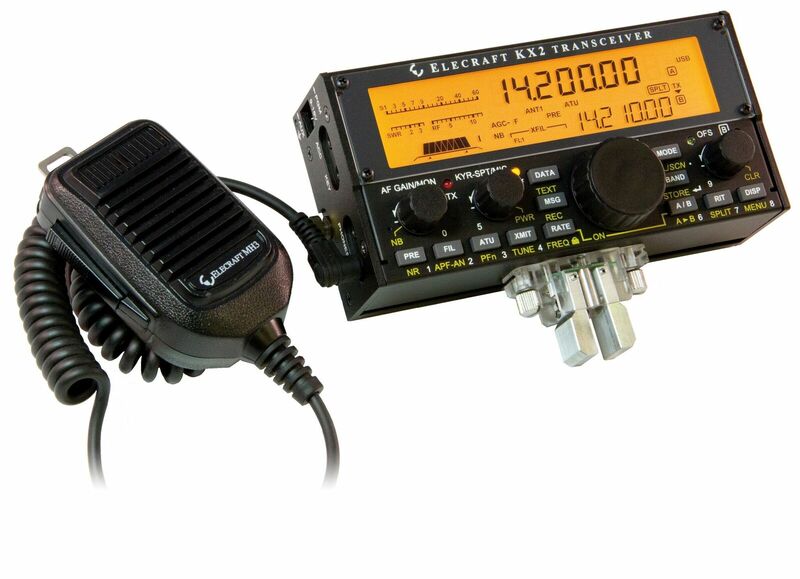 This manages to bring together all the information from the Anan, KPA500, KAT500, LP-100A and Ham Radio Deluxe so that all the devices know what frequency I am on. Again this software is written by some very clever people in their spare time so it is quite impressive. 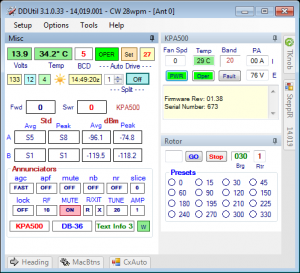 This software helps me to run the station remotely and thanks to its Auto-Power feature it enables me to use the Anan100D as if it was a 400w transceiver. Highly recommended if you are using SDRs. I have recently got one of these radios for the car. 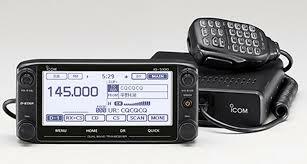 I am finding it is a very good mobile radio. 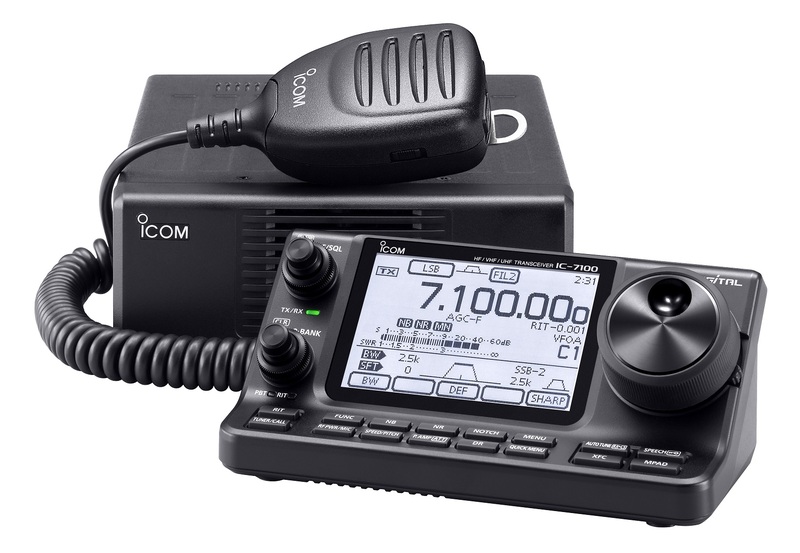 It is very easy to use once you know the Icom menus. The Near Repeater feature is the best thing I have found so far. Also I have found I can use it for working FM satellites. I decided to get an IC7100 for the home shack as I wanted something that could do VHF/UHF. 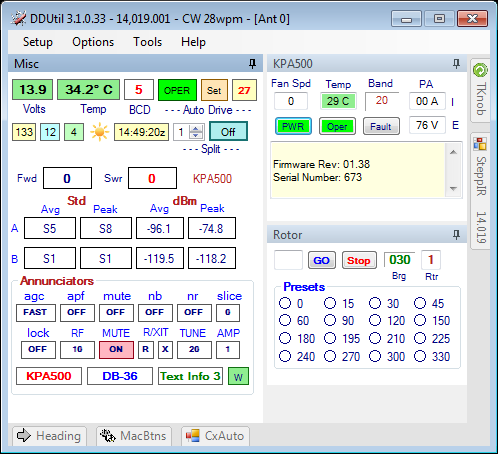 Also since it did DSTAR it was useful for it to work with my Raspberry Pi DVAP dongle. I have yet to try out HF DSTAR yet. 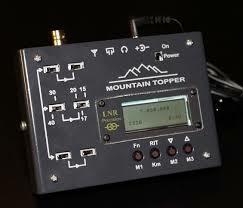 LNR MTR 5B 40-30-20-17-15m rig upto 5w CW Only rig the size of your hand. 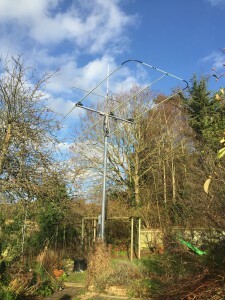 Butternut HF9V Vertical, ground mounted with approx 15 radials. 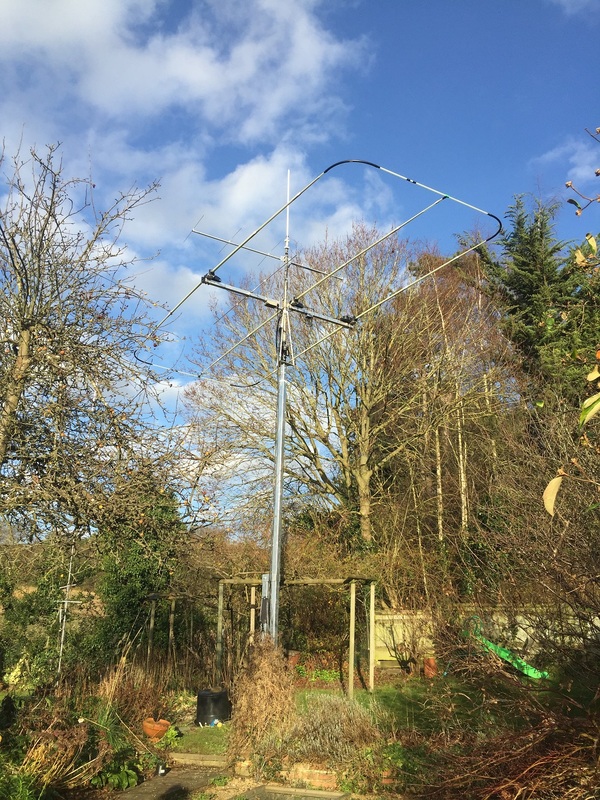 Homebrew 17m Doublet with a MFJ 994BRT remote ATU. Apex is at about 30ft. 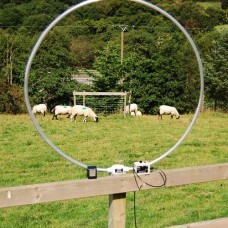 5 ele Log periodic from Elk for 2m and 70cm for portable work and satellite comms. For the second Rx in the Anan I have a Wellbrook ALA1530+ Magnetic Rx loop, this is a great addition for rception from about 20m-MF. You can see where I have been on APRS.fi. I like your antenna I was looking at getting one of those UB20-MX antennas. Just wondering how it has been performing. Yes Im very pleased with it, I’ve not had any issues with it so far. I got it from Ron Vine before he stopped trading. I did have an issue with the antenna controller, there was a nearby lightning strike and it zapped a bit of the board. I was a bit concerned as I had heard that getting it fixed by Ultrabeam in Italy might take a long time, but I got it back all working and repaired about a week after I sent it, so very pleased with their service. Bear in mind though that it is still a big beam and heavier than a normal beam so if you have a small garden it could be difficult to install. So far anything I can hear I can work, so very pleased with it.